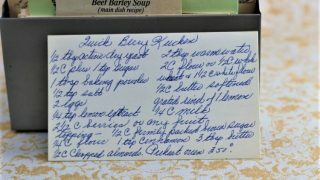 Front of the recipe card for Quick Berry Kuchen. 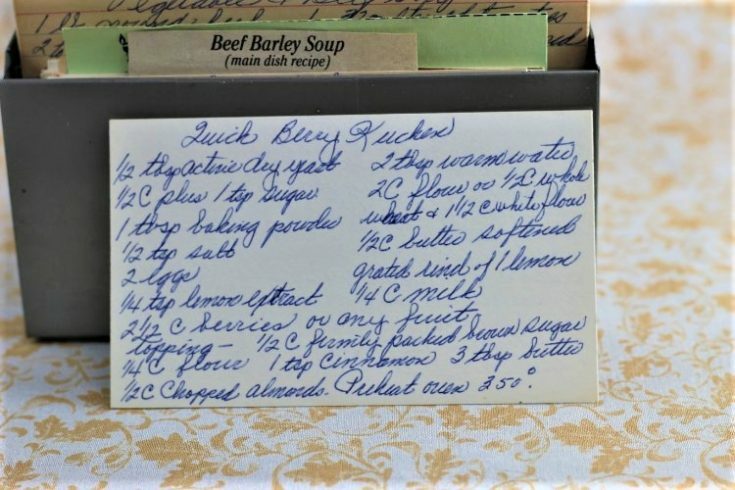 Back of the recipe card for Quick Berry Kuchen. There are lots of fun recipes to read in the box this recipe for Quick Berry Kuchen was with. Use the links below to view other recipes similar to this Quick Berry Kuchen recipe. If you make this Quick Berry Kuchen recipe, please share your photos and comments below! In small bowl mix yeast, warm water & 1 tsp sugar together & set aside. 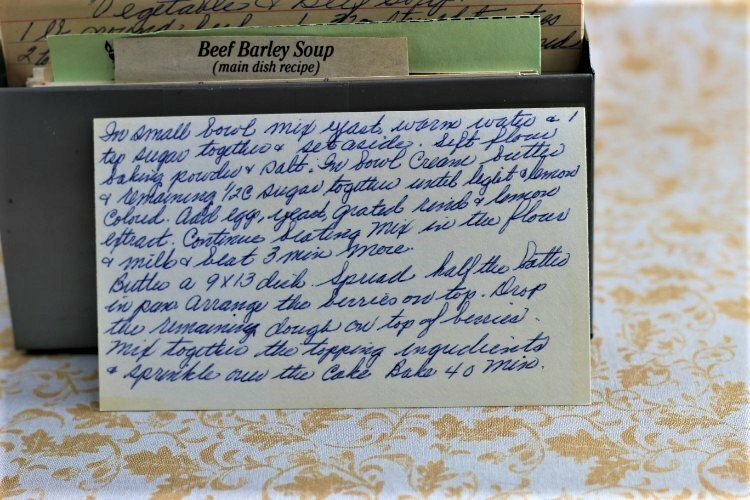 In bowl cream butter & remaining ½ cup sugar together until light & lemon colored. Add egg, yeast, grated rind & lemon extract. Continue beating mix in the flour & milk & beat 3 min more. Spread half the batter in pan, arrange the berries on top. Drop the remaining dough on top of berries. Mix together the topping ingredients & sprinkle over the cake.